The human body requires a number of different minerals on a daily basis to maintain an optimal level of health. A number of these minerals can be gotten through a healthy daily diet, but sometimes even the healthiest of diets may leave nutritional gaps that may affect your health. 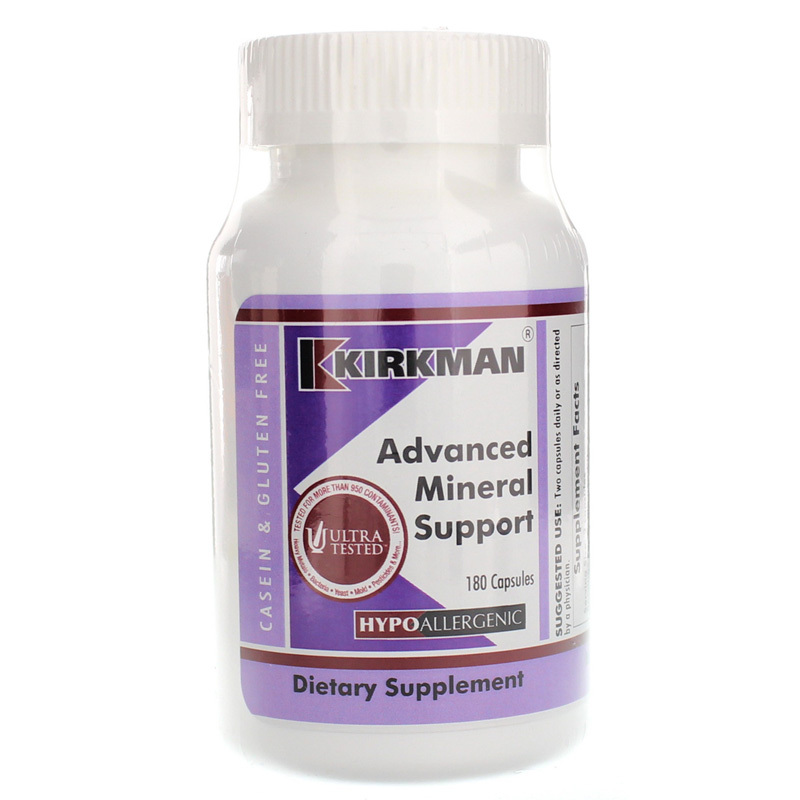 Advanced Mineral Support from Kirkman is a hypoallergenic dietary supplement that provides a range of essential minerals to help support and maintain your overall health and wellness. Kirkman's Advanced Mineral Support contains no artificial preservatives, flavors or colors, and is always made without the most common food allergens. 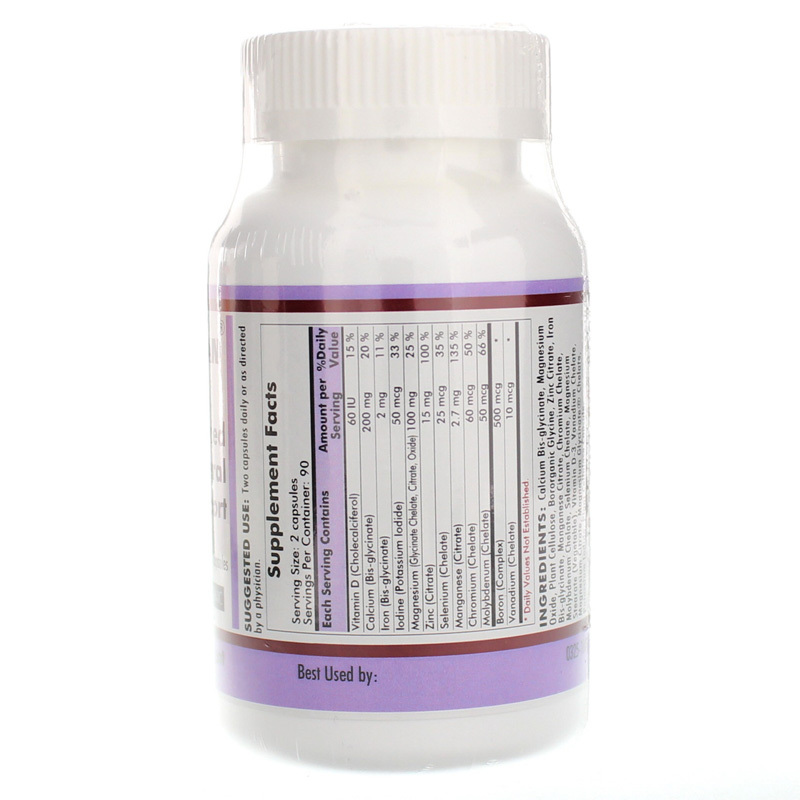 It comes in a hypoallergenic capsule form that is easy for adults of all ages to swallow. Support your overall health by getting the minerals your body needs. Give Advanced Mineral Support a try today and see the difference it may be able to make for you. Order now! 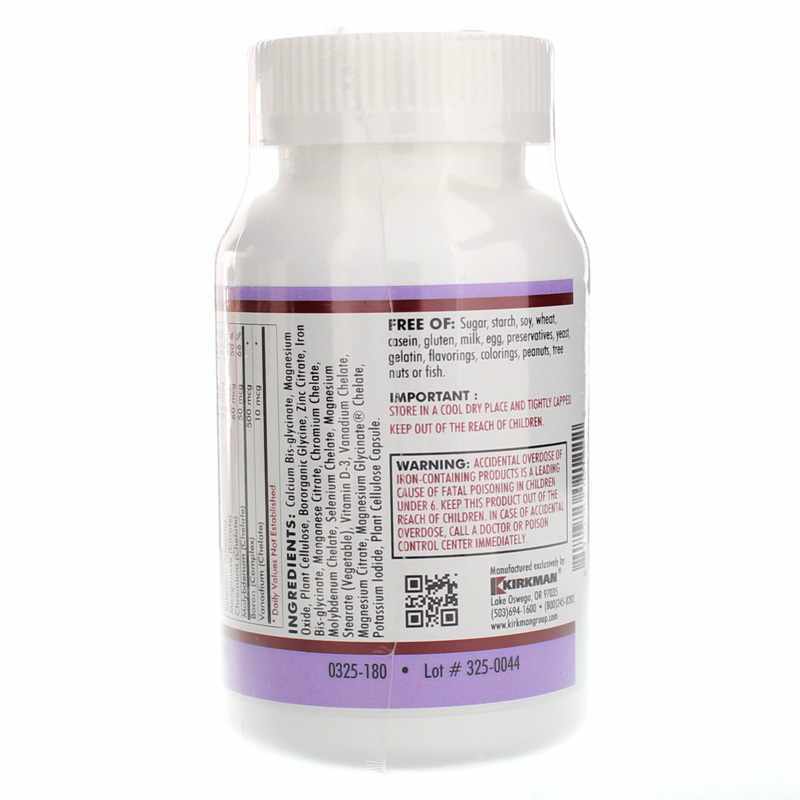 Adults: Two capsules daily or as directed by a physician.